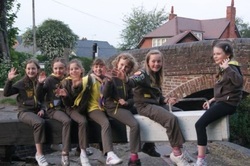 News & Newsletters - 14th Birmingham Brownies (Sandon Road). What We Did In 2011. _September found us embarking on our first challenge - Adventure 100 when we made ice lollies, had K'Nex and Lego races, struggled to make dream catchers and designed our own tie-dyed bags. Our summer challenge was the Duck Challenge which the girls joined in with enthusiasm. October was the culmination of our Guiding Centenary events with a Promise renewal with all the Division at St Peter's. The highlight of the evening for the girls was the lantern getting stuck in the tree! The Brownie holiday saw the most girls and leaders we have ever had together as Janet Nunn completed her large scale event qualification. What a logistical task that was! In November some of us went to Disney on Ice and laughed, cheered and sang along with countless other Brownies and their parents. We also planted daffodil bulbs which the girls took home to care for and in February we sold cakes in aid of Marie Curie. Swimmers and Advanced Swimmers badges were gained when we joined 72nd Brownies for our annual visit to Edgbaston High School pool. Thanks to Emma for arranging that event. A first for me was getting the Sixes to plan and lead a unit evening from beginning the end. It’s amazing how much they think you can do in one night! One Sixer, Annissa, excelled in providing all the resources needed for the evening her Six had planned – a leader in the making?? 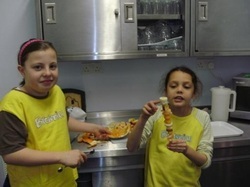 _In the spring term we completed the Toymakers and Cooks badges making healthy snacks instead of biscuits to go with our drink. I’m not sure all the girls approved of the change! _4 Brownies and I joined 72nd Brownies on our first trip on Tuptonia with some anxiety (“Do they wear lifejackets in bed?” asked one mum) and much excitement from the girls. The weather was kind and we had a wonderful time, managing to include a trip to Hatton Country World where we experienced “duck herding”. Thanks to Susan for arranging this trip and making it an enjoyable and laid-back experience for all. I’m looking forward to the next trip – if I can find some Brownies to come along. 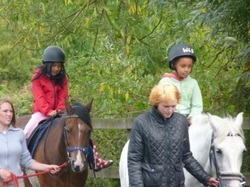 _The final event of our year was a pony morning at Woodgate Valley where 6 girls helped to groom and tack up their ponies and then had a lesson or a trek in the morning. In the afternoon we took to the paths and completed the Rangers' trail to achieve a Silver Certificate for our efforts. Thanks is owed to one mum, Susan, who proved to be very knowledgeable on the plants and wildlife we encountered.